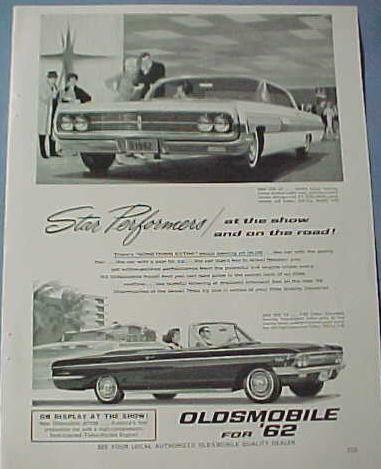 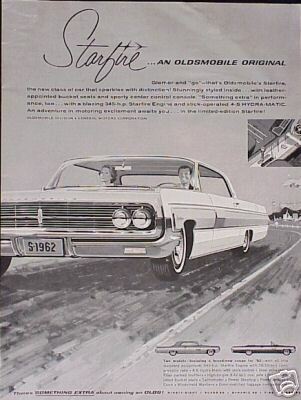 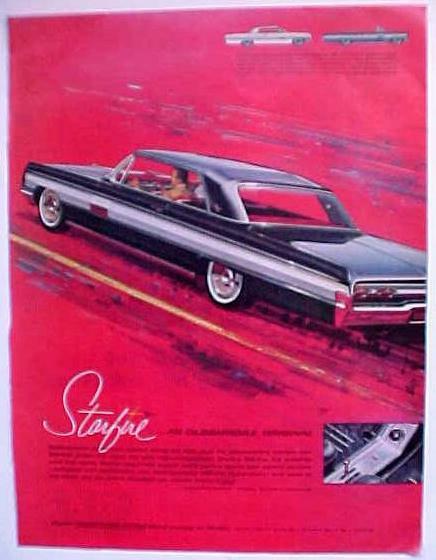 Here are a few pictures of 1962 Oldsmobile Starfire ads! 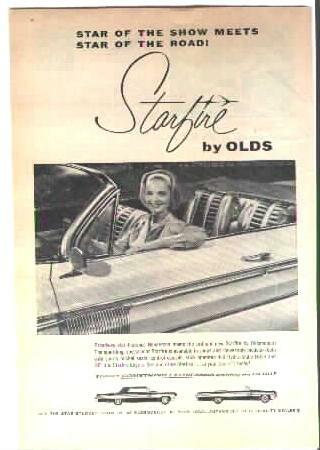 These are a few ads for 1962 Oldsmobile Starfire 2 door hardtop. 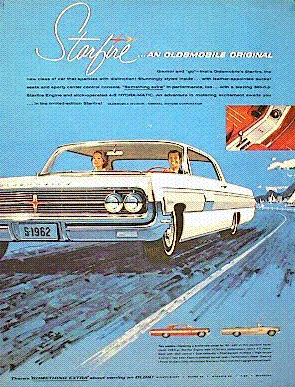 Click here to go see miscellaneous 1962 Oldsmobile Starfire products.